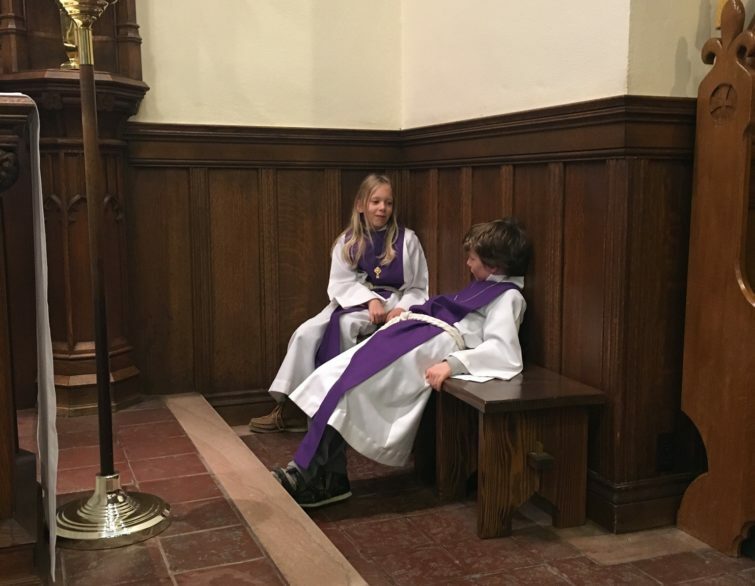 Acolytes serve at the altar on Sunday mornings to assist the priest etc. 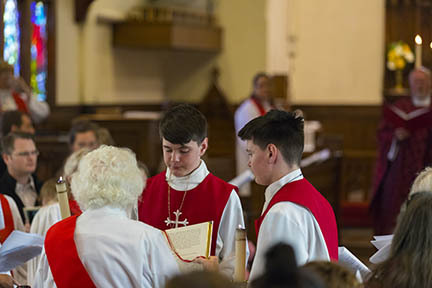 Acolyte duties include holding the Gospel book for the deacon or priest during its reading, receiving the collection plate from the ushers after the offerings have been blessed and washing the hands of the clergy involved in the celebration of the Eucharist. 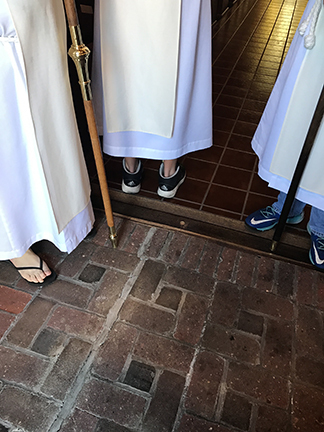 The Acolyte can be a crucifer, a torchbearer or any other number of positions that help the clergy during worship services. 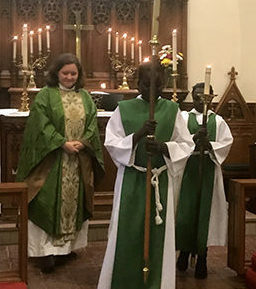 Acolyte can be 7 years old to 99 years old. 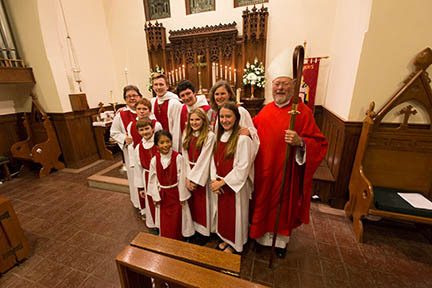 Acolytes are organized into teams and typically serve once a month. 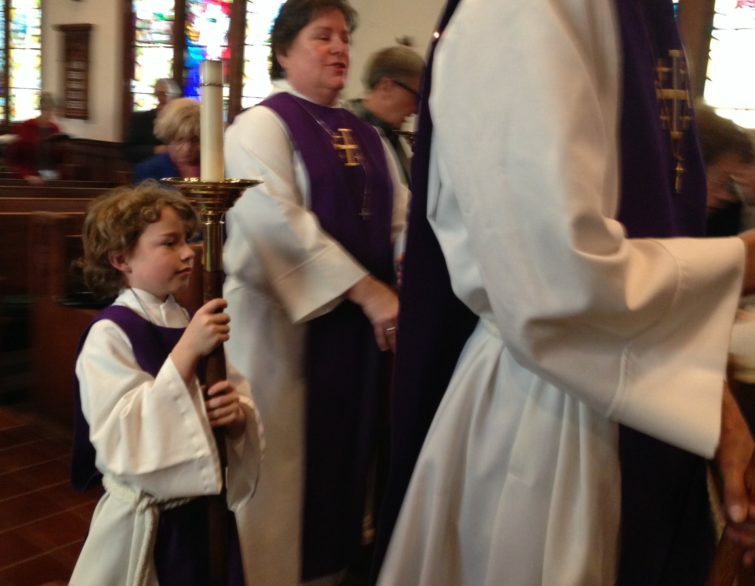 If you are interested in being an Acolyte (child or adult) you can contact Debbie Decker or The Rev. Terri Hobart through the St. Luke’s Church Office at 530-662-7162.